It is our pleasure to be your home away from home while you're on the road. 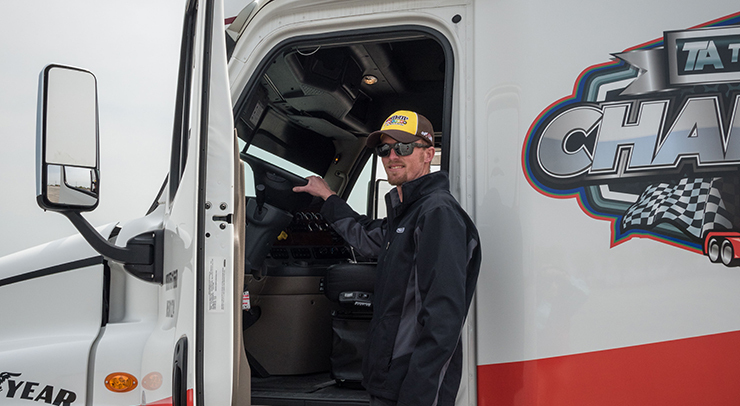 We know it isn't an easy job, but we want to show professional drivers that we appreciate your hard work and dedication. That's why our locations will be celebrating professional drivers throughout the month of September. They are planning events just for you, including concerts, games, wellness walks, basketball, windshield washing stations, dog washing stations and specials and deals to make maintenance for your next route more affordable. It's our small way of thanking you for all you do!